This Gem state is not just for potatoes but, rather, falls right in line with all of the other states when it comes to a big appetite for online poker in 2019. Idaho has a long history of a conservative leaning when it comes to the world of gambling, but that has not kept Idahoans from seeking out a good opportunity to win real money. For those of you in Little Ida, you’ll be happy to know that you can play poker online in 2019. Finding a real money US poker site will be no problem if you know where to look. Don’t worry, we have you covered. 2 Can Players From Idaho Play Online Poker For Real Money? 3 Is Online Poker Legal In Idaho? Idahoans are waiting with great anticipation for State officials to determine whether online gambling will be legalized in their statestate, following the US Department of Justice’s ruling that left online poker players in shock when the DOJ outlawed online poker and other gambling. It was in December of 2011 when the DOJ declared that individual states could choose for themselves whether they wanted to regulate online poker. For Idahoans this decision is no small potato. Can Players From Idaho Play Online Poker For Real Money? Online poker players can and do continue to play for real money through offshore online casinos in 2019. There is little discussion with regards to changing that in the immediate future. Like many states in the US in 2019, online poker is, strictly speaking, illegal in Idaho but offshore gambling casinos are allowed. In keeping with the Gem state, it remains unfriendly towards any form of poker. 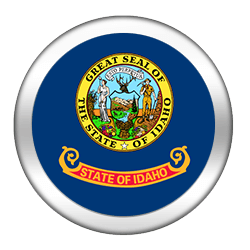 Is Online Poker Legal In Idaho? A change in the specific wording of the law will determine the legality of online poker playing in Idaho. Currently the 2019 law identifies poker playing as a game of chance and not a game of skill. If and when it is clearly identified as a game of skill then the floodgates will open for online poker players. Gambling laws do identify games of skill as legal. (1) Bona fide contests of skill, speed, strength or endurance in which awards are made only to entrants or the owners of entrants. Although it is illegal to establish an online poker room in Idaho, there are reputable, acceptable online poker sites that are available to 2019‘s avid, serious poker players. There is little in place that suggests that online poker being established within the state of Idaho will happen anytime soon. The history of gambling in Idaho has been a love/hate relationship with a seemingly constant flipping of the switch. From the first legalized slot machine in 1930 to the banning of slot machines in 1948 gamblers in Idaho are at the mercy of public opinion. Initially gambling was permitted at the same time that it became a state in 1890 and contributed to the wealth of Ketchum. But, not long after Idaho was established as a state, Methodist ministers became vocal in demanding that police shut down card games that were a part of the local saloons. By 1905 police became active in shutting down craps games as well as card games. Between the banning of slot machines in 1948 to within six short years later voters and law makers saw to it that all forms of gambling was outlawed. But then ten years hence pari-mutuel horse racing became legal in 1963. There is very little indication that the anti-poker hardliners have any intention of budging when it comes to implementing poker into casinos, local or venues or the establishment of online casinos anytime soon. While there are those who believe that Idaho should move in the direction of online gaming and the advancement of gambling in Idaho the reality is the movement supports more land casinos. Even with that the likelihood of poker being front and center is unlikely. Online poker and gaming remains reserved for offshore enterprise. Playing online poker in Idaho is more viable than ever expecting a legal land-based game to be offered, as residents of the state seem uninterested in legalizing play. Currently there are two state representatives who would like to see online poker sites for Idaho addressed because of the potential revenue. At present they realize the political climate of Idaho is not prone to changing anything, anytime soon. Idaho continues to hold on to its conservative state government and as a result that plays a role in keeping gambling under control. Because the anti-poker sentiment runs deep with Idahoans, pro-gambling lawmakers have a steep hill to climb. It is believed that should the Federal Government seek to make lawful online casinos across the land, then Idaho would opt out of online gaming and would more than likely refuse to allow poker sites in particular. Idaho is called the Gem State because it produces 72 different precious and semi-precious stones. Of the most precious gems that came out of Idahoa is literary great Ernest Hemingway. It is no wonder that Idaho is considered a conservative state with Sarah Palin as a native Idahoan. While there are 13 land-based Indian gambling establishments currently operating in Idaho, poker in 2019 continues to be a taboo subject and there is little indication that that will be changing anytime soon. There are strict laws in place to deter individuals from entering into a friendly, real money poker game anywhere in the state. Players who wish to participate in online gaming will do so by engaging with 2019‘s best, approved, offshore online gaming organizations where play can be both for fun and for real money. The bottom line is that where there is a desire to play a good game of poker, the people of Idaho will find a way.